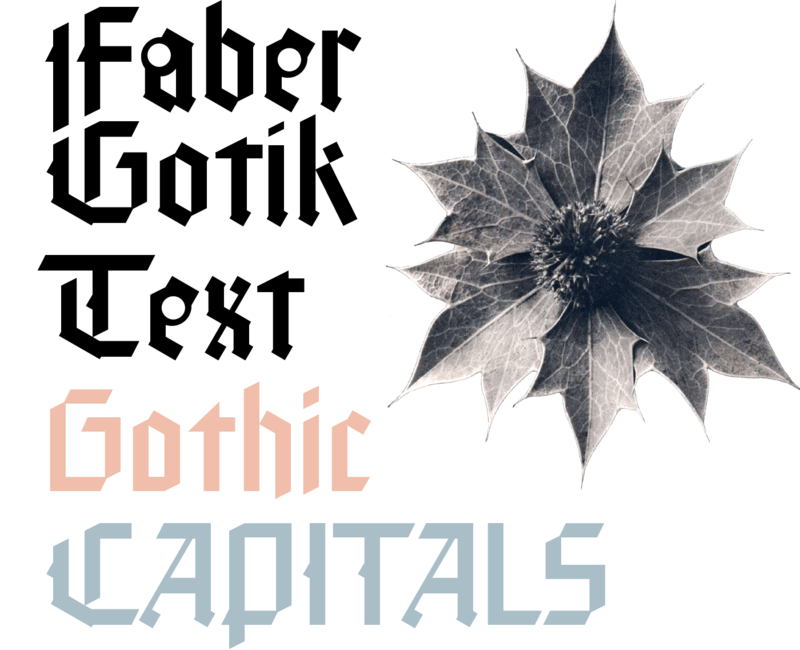 After the successful attempt of producing a modern Faber-Fraktur (ingoFonts 1998), Faber-Gotik is a reminiscence of Gutenberg’s first script from around 1450. The heavily broken forms allow further development in the direction of a modern, strongly geometric and less formal type. It should be possible to push the principle of design so far to the limit that a type is created which, from the very start, extinguishes reminders of a dark past. The characters are composed of squares which are lined up straight or in a more or less slanted manner. The resulting corners similar to serifs were removed so that a sans serif type in the true sense without up and down strokes was created. The principle of ”breaking“ was applied according to the historical model. 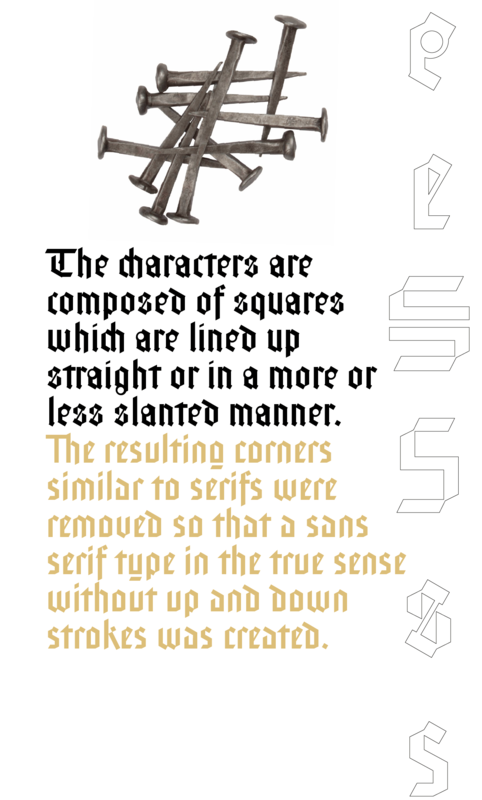 Even the form of the characters is based on the model from the Middle Ages. Only the characters which cannot be created with the principle described were modeled on today&apos;s forms. 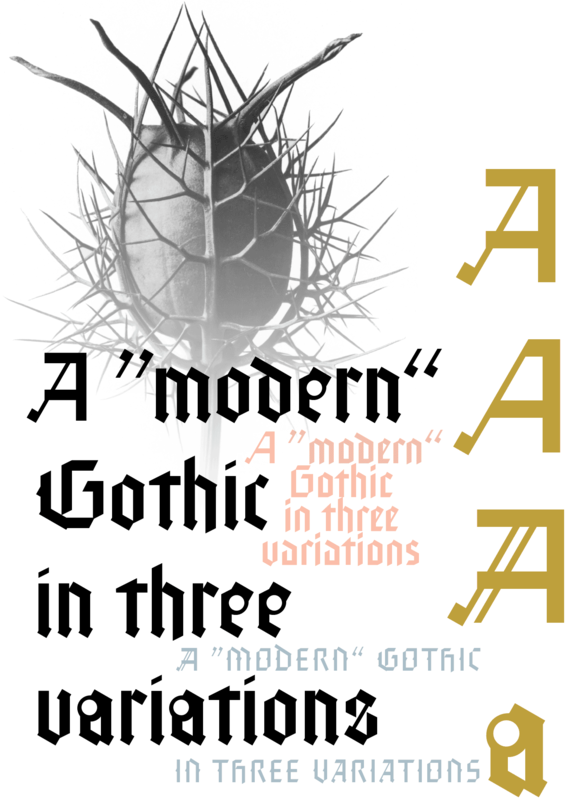 Faber Gotik includes three variations: Faber Gotik Text — most similar to the historical model —, Faber Gotik Gothic — pushes the applied principle of form the furthest —, and Faber Gotik Capitals —; a Gothic upper case font, contrary to tradition. 555 years after Gutenberg, interest in black-letter typefaces is nearly extinct. They are especially looked down upon in German-speaking countries because they are still associated with ”Nazi“ scripts. But yet, the very forms of Broken Letter, Gothic, Schwabacher and especially cursive have enormous potential with regard to the development of new advanced font forms.